Webscan is one of the only companies to offer a DPM verification solution. Direct Part Marking or DPM is the process of permanently marking an item with a barcode directly onto the surface. The preferred DPM symbologies are Data Matrix and QR Codes. There are over 15 different marking methods used to produce a permanent mark on parts. Webscan has three verifiers specifically designed to read and check even the most difficult of markings. Our current DPM verifiers, the TruCheck DPM Tower, the TruCheck FlexHite™ and the TruCheck 2D DPM all give you the option to choose AIM DPM or ISO/IEC 15415 grading methodologies, but differ in form factor. 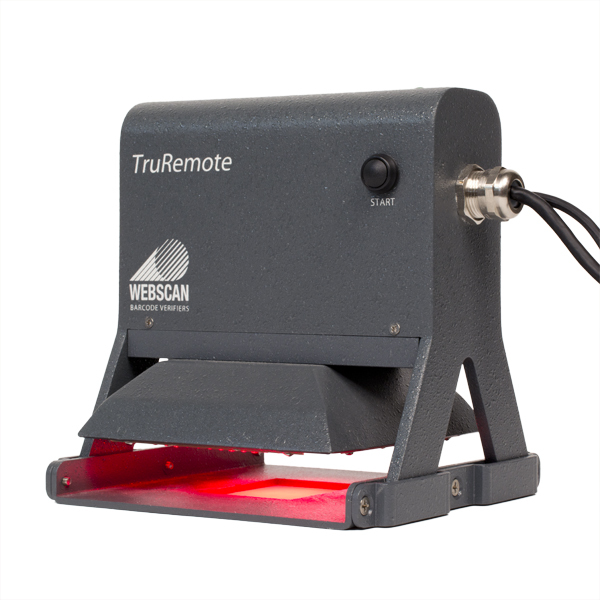 The TruCheck 2D DPM is a handheld model, features 9 different lighting options and is a compact size that is easy to move around and place directly in contact with the part containing the barcode. The TruCheck FlexHite™ offers the same versatile lighting options as the handheld DPM verifier, but has the added functionality of an adjustable camera height. The ability to adjust the height of the camera will allow you to verify DPM symbols that are in difficult to reach locations and on items that are up to 6 inches tall. Simply place your part under the camera head, and adjust the height with the manual turn wheel while the software detects the laser positioning indicator for perfect focus. The TruCheck DPM Tower is mounted on a stand and allows you to adjust the height of the imaging head to accommodate parts of virtually any size. It also includes our patented focus indicator that guides you to the correct focal height. If you’re working with larger parts or recessed markings, the DPM tower is the ideal verifier for you.